The Separation of Hannah from the others. Bible strongly tells us about the separation. After the fall of man God looked for someone who was seeking Him and so He found Abram. Abram was told to separate from 3 things (Genesis 12:1-3) and when he left those things his name was changed, he was blessed and dwelt in the promise land. This shows that God’s promised is fulfilled only when we are separated as per His will. Further if we read the word we could see the children of Israel was told to separate from the gentiles. God is Holy and dwells in unapproachable light so He wants his children should be separated from this sinful world. Separation is one of the doctrines out of the seven foundational doctrines given to New Testament Church. God does not want His people to be clubbed with the world and its things. His will is that those who serve Him must live a life of separation. It doesn’t mean that you must run away from the world…..we are living in the world but not of the world. A dead fish will flow with the current but the live fish flows against the current so is the man who is born by the Spirit he will never walk with the flow of the world but he will go against the flow. Jesus entered Peter’s boat and told him to thrust his boat little away from the land. If we receive Jesus our relation must not be with the Land (World) we must thrust our boat (Life) away from this world and thrust into deep waters with Jesus. No one can stand between land and water…one has to be totally in the world or totally in the hands of God. No one can please God and world together. From the beginning we could see God separated Individual, a Nation and then the Church (Body of Christ) and calling these separated ones as His people, His Nation and His Body. Life of Hannah has taught me good lessons and I was inspired by this book “The Ministry of supplication” by Z. T. Fomum and thought to share the same with you. Elkanah, Peninnah and their children had no need. They had not seen God’s need. If Hannah had continued in their company, what she had seen of God’s need would become dim. Separation from them for the task of doing God’s business was inevitable. 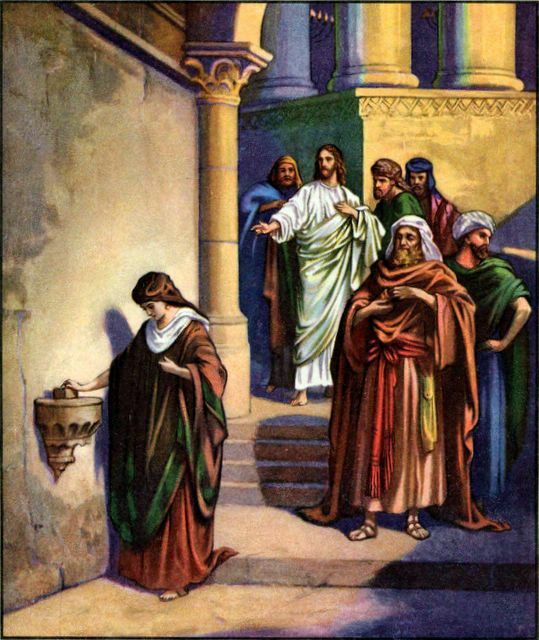 She stood up and separated herself from them, thus separating herself unto God. There are many thing of the inner life that can only happen when those who have seen what God wants to do and are determined to co-operate with Him, separate themselves from those who have either not seen or who have decided not to see. There are many things that cannot happen unless there is separation. For Jacob to become Israel, he first separated himself from all the members of his family. He was blessed there when he separated himself and confessed who he was! The Lord Jesus often separated Himself from the others in order to have communion in prayer with His Father. (Luke 22:39-42). Hannah saw the need of God. She bore God’s burden. The rest of her family was carrying no burden. If she had stayed with them, she would have lost her burden. There are times when the Holy Spirit lays a burden that should be discharged in prayer upon a heart. The one who received the burden should immediately separate himself from the others who do not have the burden and seek God through prayer. If that is done, the burden will grow, intensify and lead to more and more prayer, until the Lord’s purpose for that burden is accomplished. If the person, on the other hand, continues in the company of those who have not received the burden, other things will come in his heart and the burden will be lost. We insist that a burden should be discharged as soon as possible. We insist that the one who has received a burden from the Lord should work at it as soon as possible, and this will often mean separation from some for some time. It may appear impolite for you to withdraw from the company of loves ones so as to spend time in the presence of God. However, the alternative is to displease God and please man. Each one must take that choice. Yes, it is ultimately a question whether or not we are prepared to please God. If we have decided that God is our unnegotiable priority, then everyone and everything will readily be put aside to please Him. Hannah stood up. She separated herself from the others. She separated herself unto God. She trod the pathway that leads to God’s best and she received God’s best. Always remember, A potter cannot make a vessel unless the stones and hard particles are separated from the clay, unless and until we do not separate from the forms of this world, God cannot shape anybody. We are taken from this world to shape the world…each one of us are salt and light of this world. Let us give flavors to the tasteless world and light to the dark world by living a separated life.